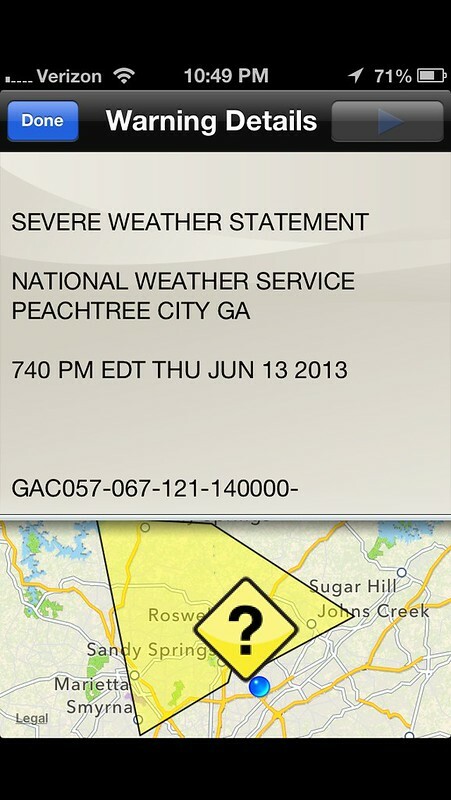 On Thursday evening June 13th, a severe weather event struck the City of Dunwoody and the surrounding area. Fortunately, no one was seriously injured. A large number of trees were downed blocking many roadways and taking down a number of power lines. As a result, many residents lost power through late Saturday or early Sunday. The Dunwoody Police Department and the City of Dunwoody Public Works Department worked tirelessly with Georgia Power, Comcast, AT&T and our contractors to clear the roadways and restore power as soon as possible. After the severe weather event, police officers and our public works staff used barricades and/or caution tape to block entire roads or parts of roads that were unsafe due to trees and/or power lines being down. Unfortunately, a number of potential safety violations were observed during this time. One resident attempted to cut a tree up that had power lines entangled in the tree. A large number of residents, including some children, were observed jogging, walking and riding bicycles under, over and around the downed trees with power lines. In addition, caution tape was torn down in some cases and barricades were removed. We encourage everyone to stay away from downed trees, especially those with power lines entangled in them, and do not remove barricades or caution tape. Those items have been placed there for everyone’s safety. Your cooperation is appreciated and will help keep everyone safe. 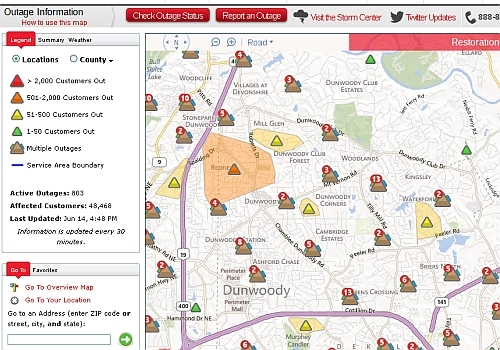 Recently, the City of Dunwoody launched the Dunwoody Alert Network so citizens have a place to go to sign up for important information from the City of Dunwoody including severe weather events. 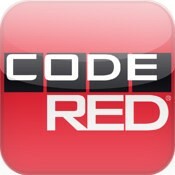 Citizens can sign up to receive weather warnings from CodeRed. You can sign up to receive telephone, email or text notifications. If signed up, you will receive the CodeRed Weather Alert warning when the National Weather Service issues a warning and your address is located within the path of the warning. 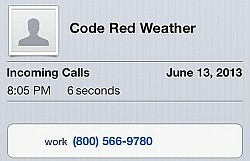 Many citizens were signed up with CodeRed and received the notice of the severe weather. We will review our response to this severe weather event to identify any areas in need of improvement so we may better serve the citizens of Dunwoody in the future. from The Georgia Institute of Technology (GA Tech). 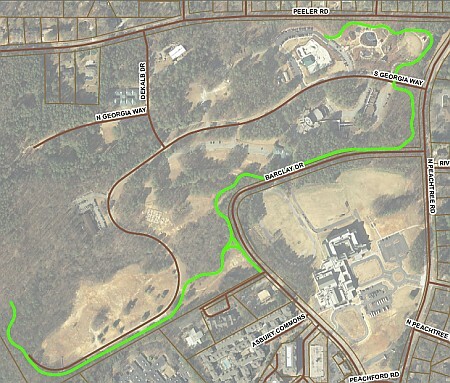 Approval of Streetlight Agreements for Ashford Dunwoody at I-285. Adoption of Resolution to Amend 2013 Budget. SECOND READ: Ordinance to Approve the Lease of the Property Located at 4470 Shallowford Road. PUBLIC HEARING & SECOND READ: Ordinance to Establish the Ad Valorem Tax Rate for 2013. HDP Acquisitions, LLC c/o Hotel Development Partners, LLC, Seeks Permission to RezoneProperty Currently Zoned Office-Commercial-Residential Conditional (OCRc) to Office-Commercial-Residential Conditional (OCRc) to Allow For a Change of Previous Conditions. HDP Acquisitions, LLC c/o Hotel Development Partners, LLC, Seeks a Special Land UsePermit For a Change in the Maximum Allowable Building Height of Two-Stories to Six-Stories. Consideration of Recommendation of Board of Ethics Regarding Ethics Complaint Against Council Member Adrian Bonser. Hearing officer report - board recommendation. Food enthusiasts are invited to attend the second annual Dunwoody Restaurant Week. For seven days, Dunwoody dining establishments will offer prix-fixe menus showcasing their best dishes and desserts for your dining enjoyment. Click the photo above or the link here to be directed to the city's website and view prix-fixed menus for lunch and for dinner below. Prepare your palate to dine around Dunwoody in June! First, our thoughts and prayers go out to our one citizen, that I know of, who was injured and to all of you who sustained damage especially to those who had their homes damaged ... some were damaged severely. We had approx. 38 trees down in our streets around our city and by Friday at 6 AM approx. 30 of those tree had been removed from the streets to provide for safe passage. The 8 remaining trees all had live electric, etc., wires entangled in the trees. FYI, for the safety of our crews they are not allowed to touch the trees that are entangled with wires. We owe a word of thanks to our crews that worked thru the night, in trying conditions, to open our streets. Also my thanks to the GA Power crews that worked around the clock to restore power. The lost of power bring up a security item .... I highly recommend that those of you with land lines have at least one of the "older fashion phones" that plug directly into the wall ... as soon as you lose power those portable phones are inoperative. This storm brings to mind that "mother nature" is bigger, stronger and tougher than us. Secondly ... Lets call it tree debris pick-up. We have talked to DC Sanitation Dept. and I just got off the phone with the Dep Director. For a Standard Pick-up that is properly prepared ... this basically means (1) cut in 4' or shorter lengths, (2) tied and bundled or in containers and (3) of weights that can be lifted by the man on the truck ... there will be extra pick-ups this Friday and Saturday. For those bigger items ... large limbs, tree trunks. etc. this is called a Special Pick-up and to have these items picked up you have to call DC Sanitation @ 404-294-2900 to schedule someone to come out and give you an estimate of cost (there are actually DC Sanitation Reps touring our area as I write this giving estimates w/o being called). They tell me the cost is roughly $50 to $100 / truck load (that appears to be a very fare price to me). If you are not home when the DC Rep comes out they will attach the estimate to your front door or mailbox. If you decide to have DC pick up the items than you must prepay via one of the following four methods (1) auto phone method, (2) on-line method [(there is a $4 charge for methods (1) & (2)] ... here is their website http://www.co.dekalb.ga.us/publicwrks/sanitation/index.html ... (3) you send a check to ... DC Sanitation Division, 3720 Leroy Scott Dr, Decatur, GA 30032 or (4) you can drive down and pay in person. Please keep in mind folks there is a lot of yard debris around our city so your patience will be required. Earlier Tonight (6/20) the Brook Run Food Truck Concert goes from 6 - 9 PM. My thanks to the DHA for taking the lead of this wonderful community spirit building event. Friday Night (6/21) "Dunwoody at Dusk" at the Park Place Shopping Center takes place for 5:30 - 8:30 PM. Restaurants and retailer will be offering special promotions. My thanks to our Chamber of Commerce for leading this community building event. 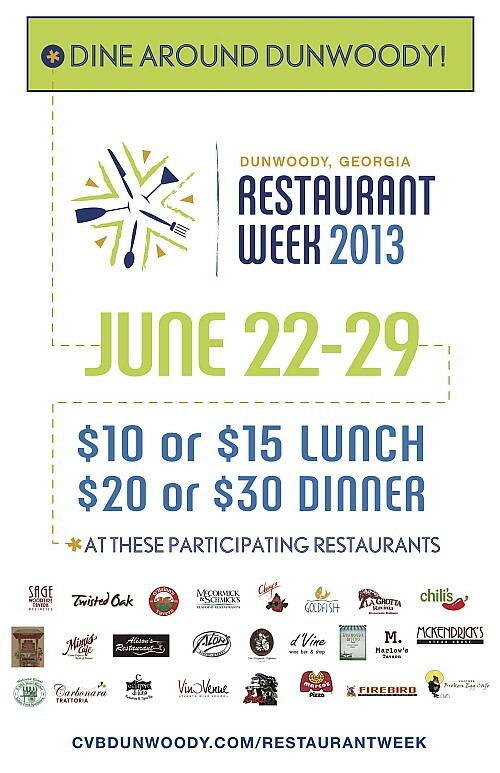 June 22 - June 29 is Dunwoody Restaurant Week .... Consult this current week's Crier for a list of all our outstanding restaurants that are offering special deals. June 25 ... City Council Work Session and Meeting .... 6 and 7 PM respectively. Note this is a Tuesday! June 29 ... Summer Concert at our Dunwoody Nature Center Park from 7 - 9 PM. My thanks to all the folks at the DNC for putting on their summer concert series. Come join us for a relaxing evening. July 4 ... Dunwoody 4th of July Parade. The biggest Independence Day Parade in the state of GA. Come view the parade with 30,000 plus of your fellow citizens! 3. Your Security ... In the last five days we have had 12 car break-ins where items of value were in plain sight of the thief. These items were of value from $50 to $4,000. Folks we just have to do better than this with keeping items of value out of plain sight. If you have items of value that can be easily seen from the outside of your car you might as well put a big flashing neon sign on your car reading "Please help yourself to my valuable items that you can see." FYI, it takes a theft about 30 seconds to break into your car, take the items they see and be gone. Lets all takes proper precautions and put this problems behind us. 4. That is all for today. Thanks for all your support and words of encouragement. Please pass this on to your friends, neighbors, members of your HOA or anyone you think maybe interested. If you would like to be added to my update email list just let me know and I will make that happen. Wishing each of you a relaxing and rewarding summer months. Look forward to seeing you at some of our "community spirit building events." The Chamber and CVB have had plans in the works for months on this summer series of events at Dunwoody's many "hearts". Park Place is first up. Many of you are going to be on your way home through the Perimeter anyway so it's a great chance to stop off and enjoy the samples, entertainment, special offers and raffles. Both Alon's and McKendrick's are among the participants. Enough said! 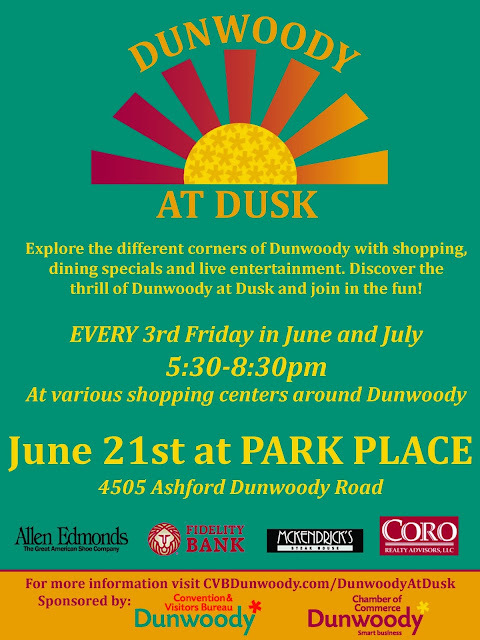 Current list of specials and offers at the first Dunwoody at Dusk at Park Place on June 21.
past the garden where road ends. Friends of Brook Run Park are sponsoring a “Walk in the Woods” on Saturday, June 22 at 8:00 a.m. in the forest of Brook Run Park. 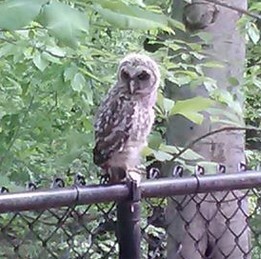 Marshall Weber, Naturalist and Birder will lead this nature walk. No fee, but registration is required. Space is limited so call Bobbi Sedam at 770-986-7776 for details and to sign up. Join us and learn more about Phase II of the Brook Run Multi-Use Trail. Some residents in Dunwoody say there's no system in place to warm them when dangerous weather is approaching. Dunwoody was under tornado warning last Thursday when this damage was done, but resident Gerri Penn said that none of the neighbors heard sirens. "The only reason we went to our basement was because our son happened to be watching TV and called us and told us there was a tornado warning for Dunwoody," Penn said. The National Weather Service reports that an EF-1 tornado lifted just before getting to Dunwoody, but severe winds still did damage. 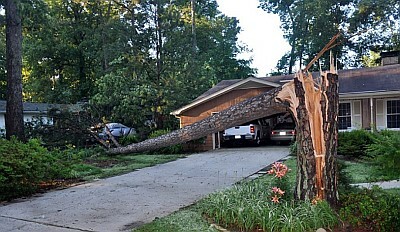 Throughout Dunwoody, trees fell on houses, roofs were crushed and cars were reduced to rubble. "If this had happened in the middle of the night, houses like that where someone could have been sleeping -- we could be dealing with injuries or worse. 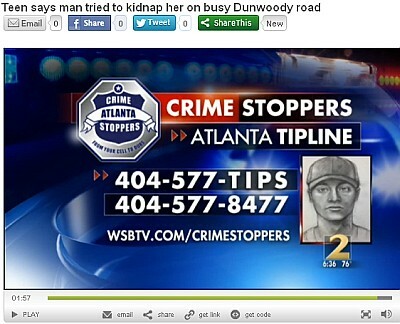 And I think this should be a wakeup call for the city of Dunwoody," Penn said. 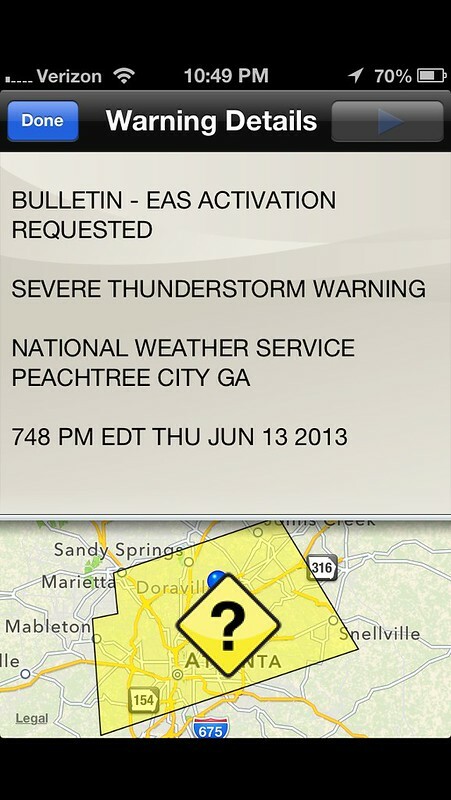 The area hasn't had tornado sirens since DeKalb County sold them to Cobb County in the 1980s. 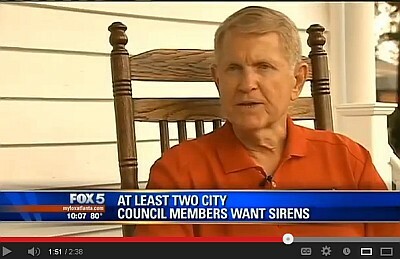 Dunwoody City Councilmember Denny Shortal said that he'd like to see sirens in the city, but the last time it came up for vote, it didn't pass. He wants the issue addressed again, believing with Dunwoody's history with severe weather, they could make a big difference. "Every indication that I have, they have an indication that they could save lives," Shortal said. "In my opinion, tornadoes are the number one thing that could cause a high number of casualties or injuries amongst our citizens." However, some residents told FOX 5's Julia Reynolds that they don't want sirens because they don't want their taxes to increase. 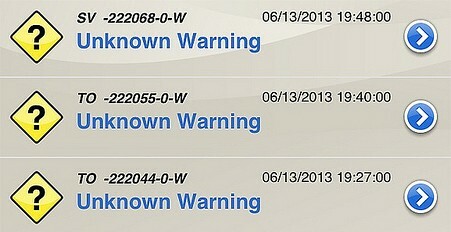 Dunwoody does have a code alert system. It's a phone app, but a lot of the people said they did not get the alerts until after the storm was already out of here. Alarm ordinance: This resulted from 4000 false alarms last year, 90% of which were human error. The ordinance goes into effect on July 1. They key elements are that owners will be able to register their alarm on the website. The electronic portal for this service will be announced soon. If you have an alarm, you are required to register it. Noncompliance draws a $100 fine. Each alarm owner will be allowed up to 2 false alarm calls in a year. If there is a third one, there is a $50. In short, the system is designed to make people who create the problem and abuse the system, “pay” for their shortcomings on fine basis. Thursday night I was at Food Truck Thursday enjoying the evening with my wife and a couple of my boys and we were entertaining former neighbors who had returned to Atlanta to vacation. At 7:27 pm while sitting in the big grassy field where the music was playing, I received the first of three severe weather warnings on my phone from the Code Red Mobile Alert App as shown below. 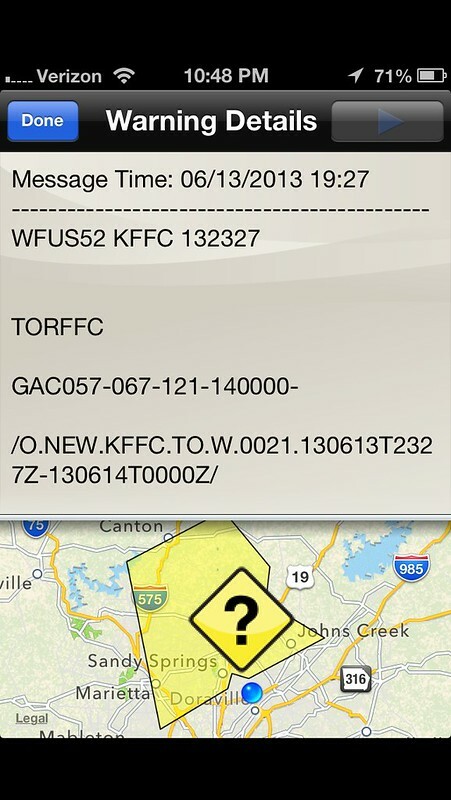 The warning had a map of the warning area reaching from Canton to Sandy Springs, but Dunwoody was not listed, so why worry? Just as the second notice came in at 7:40 pm, a Dunwoody policeman was walking around to notify everyone of the impending storm and the band was asked at that time to start packing up. We packed up the chairs, the boys and the food that was yet to be eaten and headed off to the car. Unfortunately the 18 year old former neighbor wasn't found at the vehicle as we were loading up, so I ran around to look for him. I checked the field we were at, the rest rooms and he was nowhere to be found. As the rain started to pour, I received the third warning at 7:48 and finally found him waiting for his second cheeseburger of the evening and he was without a doubt the last person served on Thursday as the truck owner was upset at his employees that he was still open with the impending weather. The storm came in very heavy at that time and I saw the tall pine trees bend toward North Peachtree Rd. 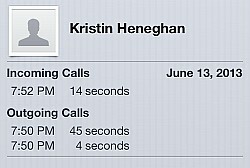 At 7:50 as shown below, I attempted to call my wife to tell her that I found the neighbor, then she quickly called me back to say that she had moved the vehicle closer to where I was. Finally at 8:05, well after the wall of straight line winds had done much of the damage, I received a phone call from the Code Red Weather Service informing me of the possibility of severe weather. It was too little - too late. Did the Dunwoody Severe Weather warning system work for those at Brook Run on Thursday; to a certain level yes as the park had many people streaming out before the storm hit, but to a larger level the system either didn't work or didn't imply the seriousness of the situation. Sirens would have done that and they would have cleared out the park much faster. I will admit that I have been a member of council who has questioned the cost / benefit of a city wide sirens system even though the subject has been broached several times in the past couple of years by Councilman Denny Shortal. With smart phones that buzz, beep and ping on command as well as the technology in most of our homes, I wasn't sure of the implementation of a city wide system was needed or be effective where double pane glass would muffle the sounds. That being said, Council explored grant opportunities to see if we could supplement the funding but in the end no grants are available. After the experience of Thursday, I believe that if the sirens were in place we would have taken the warnings as a serious warning an not just another ping on our phone and that second cheeseburger would have never been ordered. On June 25th, the Dunwoody City Council will be amending the budget and if allowed (not sure that it is) I would happily vote to expend the $250,000 - $300,000 on a city wide siren system. Trust me, that this item will once again be discussed by council in the very near future. Rick Callihan over at Dunwoody Talk discussed this same topic and the aspect of possible zip codes affecting the triggering of the warning. As an FYI, we have been attempting to unify the Dunwoody Zip Codes but have not made much progress in changing this Federal system. 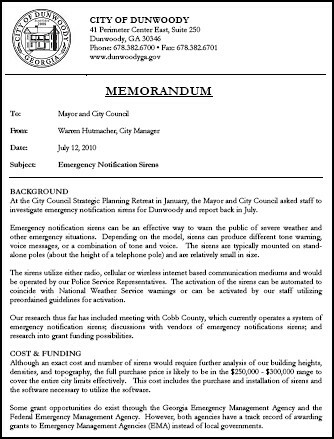 Pattie Baker also has been asking about a City Emergency Shelter but the City does not have any manned governmental buildings built to the public building code able to withstand possible disasters, as our City Hall & Police Station are just a typical commercial building and the library is leased DeKalb and we don't operate our schools therefore this is a hard question to answer until which time (8 - 10 years down the road) we start discussions on whether or not we should build our own city hall. 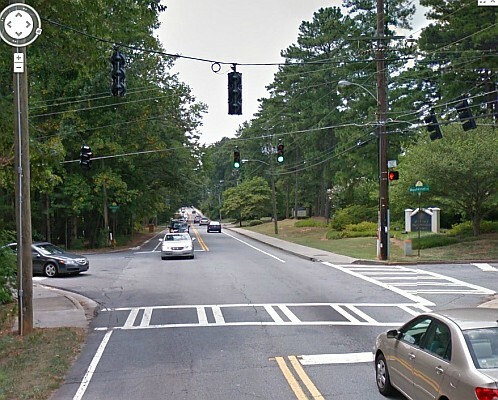 The intersection at Mount Vernon Road and Vermack Road/Manhasset Drive has been identified in the City of Dunwoody’s Comprehensive Transportation Plan as a high priority project due to its current poor Level of Service. Mount Vernon Road is one of the primary east-west corridors in the City and Vermack Road provides access to Dunwoody High School and Vanderlyn Elementary School. The current intersection is signalized, however, the lack of turn lanes causes longer traffic cues and wait times. The intersection is also deficient in accommodating bicyclists and pedestrians. This fully-funded project is an opportunity to provide a solution for the relief of congestion an accommodate mobility and safety for vehicles, pedestrians and bicyclists. The City Council funded preliminary and final design for 2013. There will be an Open House to discuss this project on Monday, June 17 from 6-8p.m. at St. Luke Presbyterian Church. 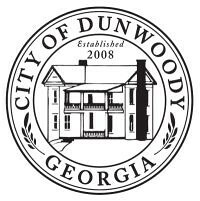 The City of Dunwoody Public Works Department has had crews out cleaning and removing storm debris since 8:30pm Thursday evening. In that time, they have removed more than 30 trees blocking Dunwoody roadways. If you see trees in the roadway that need immediate attention please call us at 678-382-6850 or, for emergencies dial 911. You can also report issues to See, Click, Fix. · Chamblee Dunwoody Rd @ Vermack is closed until further notice. Northbound traffic is being detoured into Kings Down Rd and Southbound through Vermack. · Mt. Vernon Rd between Tilly Mill & Mt. Vernon Place is closed due to fallen tree. GeorgiaPower will be there to remove tree and restore power soon. · Womack Rd is still blocked at Wickford Way due to a downed tree and power lines. We hope the road will be cleared soon. Reminder: Treat all intersections with no working traffic signals as a 4-way stop. Be careful out on the roads and be mindful of work crews. 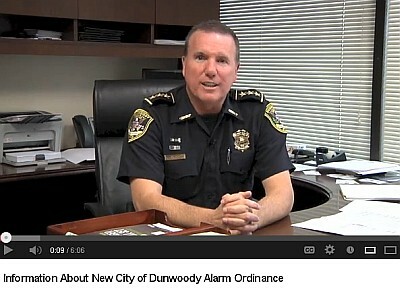 Be sure to follow the City of Dunwoody on Facebook & Twitter as well as Dunwoody Police on Facebook and Twitter. Please call 911 for all emergencies. If there is anything that I can personally do for anyone, please reach out at 770-234-0678. I have power, internet & wifi to share as well as fridge and freezer space or what ever I can to do to assist you. Please check on your neighbors too !! 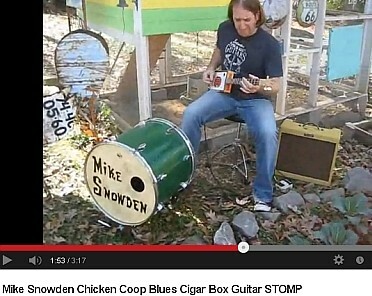 Mike has been in bands that toured the United States and Canada, opening for bands such as The Indigo Girls, Joe Cocker, Big Head Todd and the Monsters, Dave Matthews Band, and many others. Dunwoody Food Truck Thursdays has an exciting lineup for Brook Run Park this tonight and we cannot wait to see you there! Our entertainment will be provided by Mike Snowden and the Atlanta Braves B.A.T. will be onsite! Check out what's for dinner! Braves Around Town is the official mobile fan experience for the Atlanta Braves. Designed to develop, grow, and enhance the Atlanta Braves fan base, the B.A.T. Team travels throughout Atlanta and the entire Southeast to create the ultimate Braves fan experience! On Tuesday, the Dunwoody Planning Commission approved the site design for a new hotel. This morning, the Dunwoody City Council held a rare week day special called meeting to conduct a hearing on the 2014 tax rate which is holding the same rate since the original date of incorporation. We also had a first read leasing a building on Shallowford Road at Peachford and a quick discussion regarding the operations of Food Truck Thursdays. Following the City Council meeting, the City Ethics Committee met and approved a recommendation to City Council for a public reprimand of Dr. Bonser for conduct failing to meet the requirements of courtesy in relation to an email she sent. Board Member Bahr move that the Board recommend to City Council for a public reprimand of Dr. Bonser for conduct failing to meet the requirements of courtesy in relation to her February 3, 2013 email. That the further recommendations of the hearing officer, with respect to revocation of email privileges be not recommended and that the Board is split with respect to the issuance of a strong letter of encouragement to Dr. Bonser with respect to apologizing in writing to the complainant. 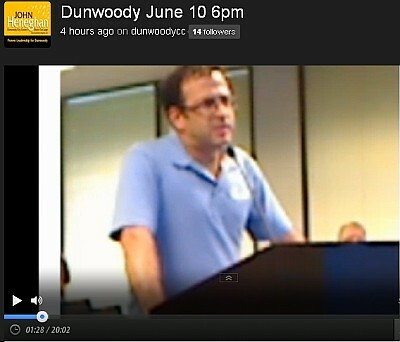 Thursday night the Dunwoody Community Council will discuss the items in the Zoning & Land Development Rewrite. The Sounding Board of Citizens who served seemed to have a solid consensus on most of the proposed changes (Highlights available in this link) except for maybe Home Occupations allowing customer contact. Here’s the meeting and hearing schedule for this important topic - 6/13: Community Council; 7/9: Planning Commission; 8/12 & 8/26: Mayor and Council. Monday Night, June 17 from 6 p.m. - 8 p.m. there will be an Open House at St. Luke’s Presbyterian Church, 1978 Mt Vernon Rd to discuss future plans for Mt. Vernon Rd. and Vermack Rd / Manhasset Drive engineering improvement. The City of Dunwoody is interested in hearing your input and feedback on future plans and project improvements which enhance the quality of life for everyone within our City. The intersection at Mt. Vernon Rd. and Vermack Rd/Manhasset Drive has been identified in the City of Dunwoody’s Comprehensive Transportation Plan as a high priority project due to its current poor level of service. Mount Vernon Road is one of the primary east-west corridors in the City and Vermack Road provides access to Dunwoody High School and Vanderlyn Elementary School. The current intersection is signalized but lacks turn lanes, causing longer traffic queues and wait times, and remains deficient in accommodating safe use by pedestrians and bicyclists. The City is currently in the early planning stages/data-gathering phase during which public input, land survey and traffic counts are obtained to best determine appropriate engineering improvements for the intersection. We invite you to join us for a Public Information Open House meeting concerning the intersection. Local election year - only elected by residents in the district in which you live. 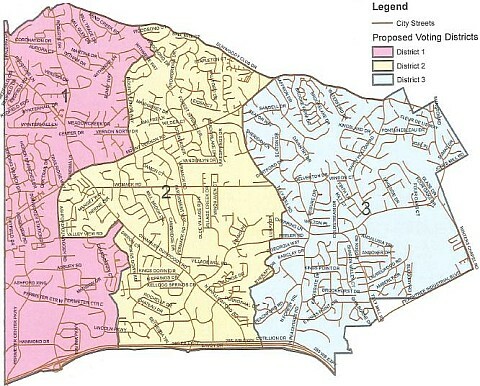 The City of Dunwoody will conduct a general election on Tuesday, November 5, 2013 for the purpose of electing three (3) members of City Council. The City Council posts to be voted on are Post 1, Post 2, and Post 3. The qualifying fee for the office of City Council is $360.00 (three hundred sixty dollars), which is 3% of the total gross salary of the preceding year (Georgia Election Code 21-2-131). The qualifying dates will be Monday, August 26, 2013 through Friday, August 30, 2013. The hours of qualifying will be from 8:30am to 4:30pm and shall be conducted in the Office of the City Clerk (Georgia Election Code 21-2-132). The polls will open for the November 5, 2013 Municipal General Election at 7:00 a.m. and will close at 7:00 p.m. at your designated voter precinct. If no candidate receives a majority vote, then a runoff election will be held on Tuesday, December 3, 2013 at the same precinct locations. The qualifying period opens on Monday, August 26, 2013 at 8:30 a.m. and closes on Friday, August 30, 2013 at 4:30 p.m. The hours of qualifying each day are 8:00 a.m. until 5:00 p.m. Any person desiring to run for office shall qualify in the Office of the City Clerk (Georgia Election Code 21-2-132). The qualifying fee for a Council post is $360.00 (three hundred sixty dollars), which is 3% of the total gross salary of the preceding year (Georgia Election Code 21-2-131). The qualifications to run for office include: candidate must be a resident of the City of Dunwoody for a continuous period of at least 12 months immediately prior to the date of the election; candidate must continue to reside in the City of Dunwoody during their period of service; candidate must continue to be registered and qualified to vote in the municipal elections for the City of Dunwoody. 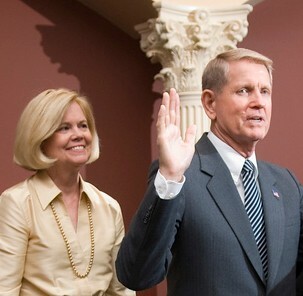 In addition, no person will be eligible to serve as a Council Member representing a council district unless that person has been a resident of the district they seek to represent for a continuous period of at least six months immediately prior to the date of the election and continues to reside in their district during their period of service. 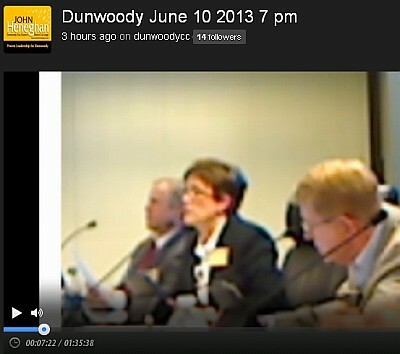 Dunwoody Council Video - 6pm public comment, Chattcom changed the system, serious accusations, new ethics charges, no HUD, Marta / CBS Outdoor ad shelters are for eyeballs - little else. We had two meetings this evening, not one vote was taken and I don't think I could do a recap justice without great effort and more hours than I want to spend on the subject. Both videos above are worth watching till the very end! Very serious accusations were filed by Councilwoman Bonser at the vary start of the 7 pm meeting and my hope is that Georgia Attorney General Mr. Sam Olens and his staff will be able to watch the video to verify as to what was said. As a member of council since the very begining of incorporation, I can tell you that legal council was always present, many times advice was questioned, second opinions were sought (even from Sam Olens office), and then advice was followed. Rick Callihan already has his recap of the 7 pm meeting up here. Joe Earle of the Dunwoody Reporter has several articles up. Sue Stanton of the Dunwoody Crier was in the room, as was Pat Fox of the AJC both of whom I am sure will be following up. All that being said, watch the videos for yourself. Three DeKalb School of the Arts students have been awarded performing arts scholarships from the Tim Redovian Memorial Fund. 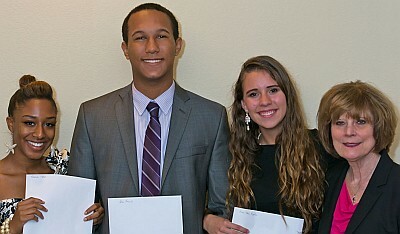 Pictured at right is TRMF founder, Sherrill Redovian, with winners, left to right: Rachelle Clark, 16, Decatur, rising junior, American Dance Festival Six Week School at Duke University, NC; Alex Hassell, 17, Decatur, rising senior, Berklee Guitar Sessions at Berklee College of Music, Boston, MA; Anna Hughes, 17, Dunwoody, rising senior, Joffrey Summer Intensive at Joffrey School of Ballet, NY, NY. On Saturday, August 17, winners of the TRMF scholarship will showcase their talents at the annual TRMF benefit concert at Dunwoody Baptist Church. Jim & Sherrill Redovian are long standing pillars of the community and many of you may also recognize Jim's name since he was our local representative on the DeKalb County School Board. In November of 1996, their son Tim, an accomplished actor at the age of 16 passed away suddenly of a viral pneumonia. Since that tragic event and in Tim's honor, the Redovian's created a non-profit charitable organization which has been funding scholarships to students with special talents in the performing arts. 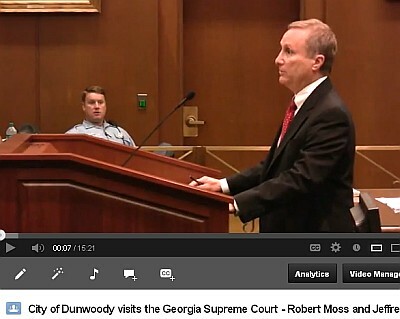 City of Dunwoody visits the Georgia Supreme Court over bullying lawyers into paying a business occupation tax. Two lawyers are appealing a DeKalb County court ruling in favor of the city of Dunwoody, arguing that a city ordinance requiring them to pay a business occupation tax is an unconstitutional regulation of the practice of law. FACTS: Dunwoody became a city in December 2008. Robert Moss and Jeffrey Rothenberg practice law together within the city’s boundaries. The same month the city came into existence, it adopted city ordinances which included an occupation tax ordinance. In August 2009, the city mailed to Moss and Rothenberg a statement with a Registration Application, requiring the completion of the business license application and registration, and payment of the tax. The attorneys refused to complete the application and registration or pay the fees, which were due by Sept. 30, 2009. Under the ordinance, attorneys may elect to be taxed based on their gross receipts for the calendar year, or simply pay an annual tax of $400. Following their refusal to pay the tax, the city sent a letter stating that failure to pay “will result in notification to the Georgia Bar for failure to comply with a law. Moss and Rothenberg sued the city, claiming the ordinance was unconstitutional and unenforceable because it operated as a precondition on the practice of law. They asked the court for an injunction barring enforcement of the tax ordinance. The city counterclaimed, seeking a declaration from the court that the 2008 ordinance was enforceable. The city also sought a penalty of 10 percent of the tax due, as prescribed by the ordinance, as well as attorney’s fees to cover its legal costs. In January 2013, the trial court issued an order finding the city’s ordinance was constitutional and enforceable and that the attorneys had to pay the taxes, interest and penalty of $1,572 each for the tax years 2009-2011. And the court ordered the attorneys to register their business address with the city as required by the ordinance. But it denied the city’s motion to require the attorneys to pay for the city’s legal costs. The attorneys now appeal to the state Supreme Court, challenging the enforceability of the occupation tax ordinance, the entry of the money judgment against them, and the order that they register their business with the city. ARGUMENTS: Representing themselves, Moss and Rothenberg argue the trial court erred in finding that the city’s ordinance is valid and not an improper attempt to regulate the practice of law. They argue that the regulation of the practice of law “is within the exclusive jurisdiction of the Supreme Court of Georgia,” and the issue is “whether or not the Justices of the Supreme Court wish to defer their right, obligation and authority to regulate the practice of law to the various municipalities within this state.” The Dunwoody ordinance is more than a tax revenue ordinance, they contend, as it contains provisions concerning licensure and regulation. “It is both a revenue tax ordinance and a regulatory ordinance for the issuance of business licenses and permits.” “If it were merely the payment of a tax, the payment of a tax – whether it is an occupation tax or otherwise – does not require the issuance of a license and does not require the payor to comply with rules and regulations, which on its face is regulatory.” In its 1997 decision in Sexton v. Jonesboro, the state Supreme Court found that a similar ordinance in Jonesboro operated as more than a measure to generate revenue and impermissibly regulated the practice of law by requiring registration and payment of the tax on the first of the year, and penalizing anyone who did not pay it by April 1st by charging a 10 percent penalty. It therefore wasn’t merely a means to generate revenue by taxing the profession but rather acted as a pre-condition or license for engaging in the practice of law, rendering it a regulatory fee. In other cases, cities’ attempts to regulate the practice of law have been struck down as unconstitutional under Georgia law. The ordinance also improperly allows for city agents to inspect attorneys’ books and record, providing the possibility of an “unwanted intrusion” into confidential files and billing statements. Certain professions, by statute, are not subject to regulatory fees, including lawyers. “Therefore, a finding that the ordinance has any regulatory elements would make it unauthorized by this code section,” the attorneys argue. The requirement that attorneys pay a fee based on gross receipts, or a flat fee of $400 a year, violates the attorneys’ right to equal protection of the law. Attorneys who have an office within the city are being taxed, while all others who practice law in Georgia are not, violating their constitutional right to equal protection. The fact that while this case was pending, the city amended its ordinance to drop the requirement that lawyers post the city occupation tax receipt, “constitute an admission that the original ordinance was regulatory in nature and, therefore, unconstitutional as applied to Appellants.” “However, the revisions to the ordinance were completely unknown to the trial court when it issued its final order,” the attorneys argue. The original ordinance “is afoul of the decisions of the Supreme Court of Georgia, and unconstitutional as applied to Appellants. The revised ordinance is also unconstitutional and was not properly before the trial court,” Moss and Rothenberg contend. Discussion of a Cooperative Agreement for HUD Community Development Block Grants. Discussion of Resolution to Amend 2013 Budget. Discussion on Public Hearings to Adopt the 2013 Millage Rate. Discussion of MARTA Bus Shelter Advertising Agreement. On 05/21/2013 at approximately 11:24 pm, the victim was walking in the 2100 block of Peachford Rd when he was approached by the suspect. The suspect pulled a gun and demanded money. After committing the act, the suspect fled on foot. 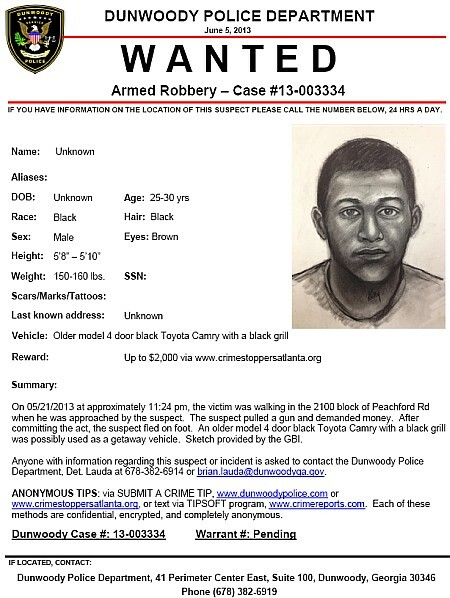 An older model 4 door black Toyota Camry with a black grill was possibly used as a getaway vehicle. 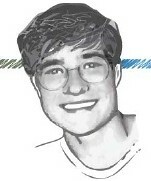 Sketch provided by the GBI. 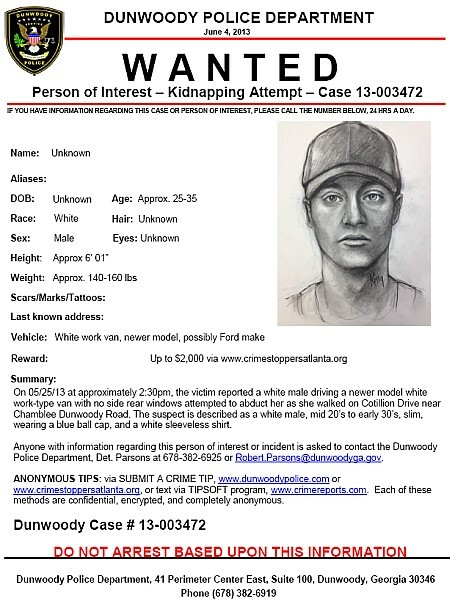 On 05/25/13 at approximately 2:30pm, the victim reported a white male driving a newer model white work-type van with no side rear windows attempted to abduct her as she walked on Cotillion Drive near Chamblee Dunwoody Road. The suspect is described as a white male, mid 20’s to early 30’s, slim, wearing a blue ball cap, and a white sleeveless shirt.